At 29, Carey Mulligan has quietly but decisively emerged as one of the finest actresses in the English language. 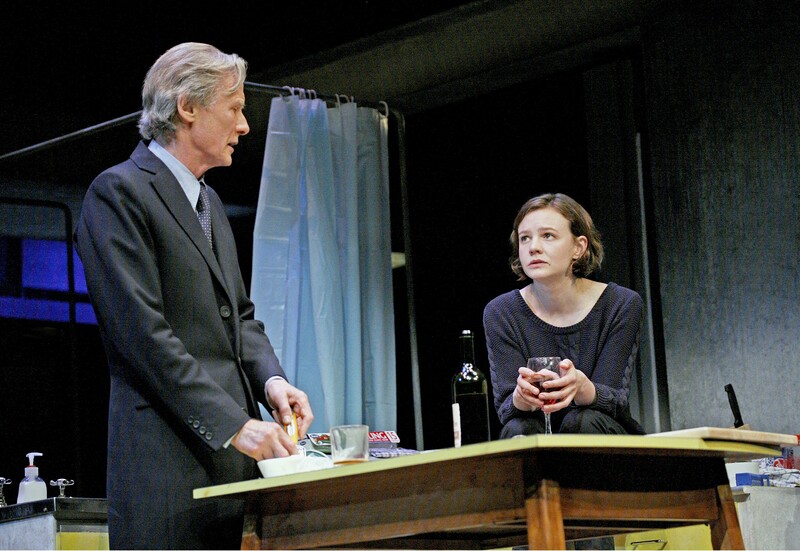 Whether in her Broadway debut in The Seagull in 2008 or her Oscar-nominated turn in the 2009 British indie An Education, she projects an intelligence and vulnerability that are mesmerizing to watch. 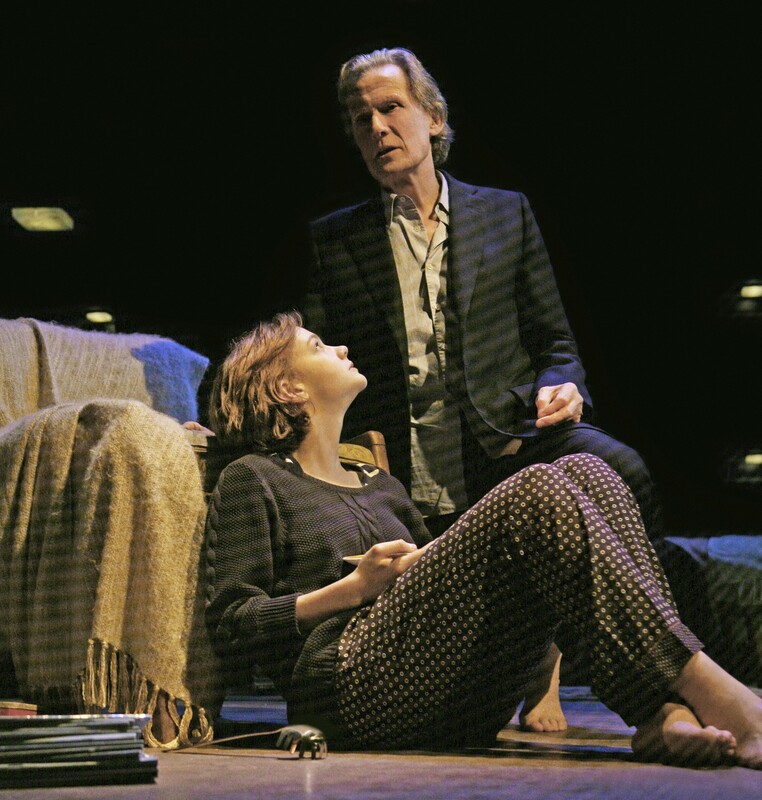 Now, she’s offering a master class in stage performance in an exquisite Broadway revival of David Hare’s 1995 play Skylight, playing through June 21 at the John Golden Theatre. Somebody give this woman a Tony. Mulligan plays Kyra, a 30ish idealist in 1990s London who has rejected the accoutrements of her upper-middle-class upbringing and education for a job teaching kids in a low-income neighborhood — while living in a cramped cell-block of an apartment in another slum-like hood. She’s landed there after a failed love affair with a much older, married restauranteur, Tom (Bill Nighy), a Thatcherite entrepreneur who now hopes to re-spark their romance following the death of his wife. 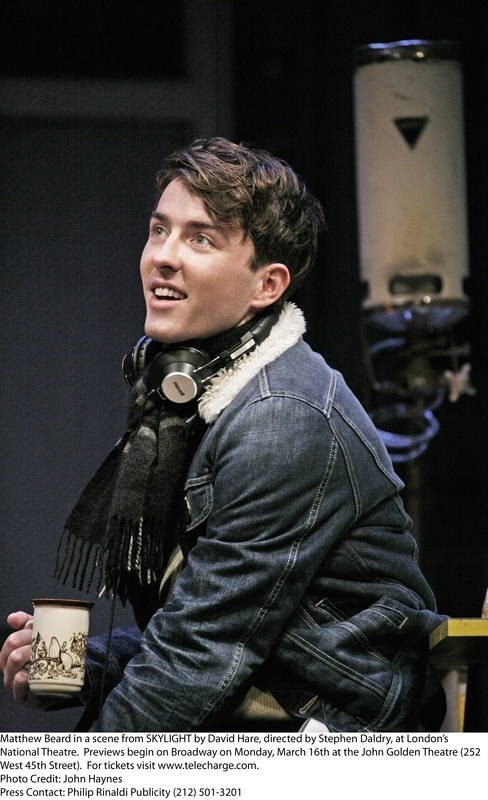 Their relationship, needless to say, is complicated — a point that is underscored by the scenes that bookend this mostly two-handed drama, in which Tom’s now-18-year-old son, Edward (the bright-eyed, puckish Matthew Beard), makes his own appeal to Kyra, who apparently became a welcome fixture in the family home before the affair burst into the open. This sort of talk — and Kyra’s decision to make the betterment of the underprivileged not just a project but a lifestyle choice — feel like a double rejection to Tom, who regards her with both romantic and paternal affection. Nighy, with his wiry frame and easy stage manner, tears into the role with loose-limbed, finger-pointing gusto, stopping just short of histrionics in a well-tailored dervish of a performance under Stephen Daldry’s expert direction. So glad to see you enjoyed it as much on Broadway as I did in the West End!